Circa 1732. Experience this authentic historic plantation complex listed in the National Register. Accommodations include the manor house, overseer's house, former slaves' quarters, summer kitchen, smokehouse, groom's quarters, log cabin and carriage house. Whether staying in one of the restored outbuildings or in one of the suites or guest bedrooms of the manor house, a variety of amenities are offered such as fireplaces, antique furnishings, Jacuzzi tubs and private decks. Relish a hearty country breakfast in bed or in the dining room. 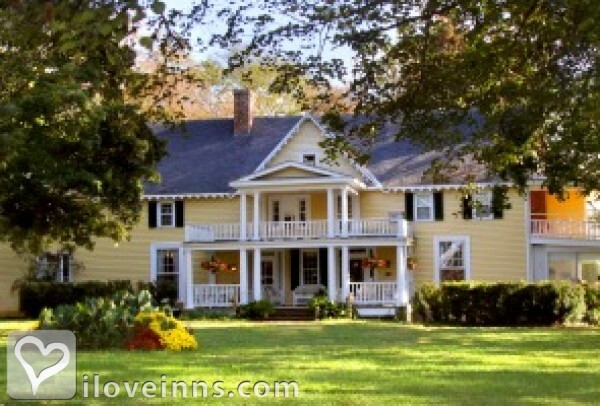 After a full day of swimming, playing golf, gathering for afternoon tea or visiting nearby Monticello, Thomas Jefferson's home, stroll the 50 acres of landscaped grounds before a candlelit five-course dinner.Publicity and Awards: "2015 Top Romantic Inns" of America by iloveinns.com.Location: Country. Payment types accepted include Personal Checks, Master Card, Discover, American Express, Visa and Travelers Checks. Rooms: This property has 13 total guest accommodations with private bath, 13 with fireplaces, 6 with hot tubs, 7 cottages and 1 cabin. The types of beds available include Double, King and Queen. Minimum Stay Requirements: Two night stays required for peak-season weekends and some holidays. Cancellation: At least 14 days notice of cancellation required for full refund. Pets: Innkeepers pets on premises, Pets Allowed and Well-behaved dogs welcomed in certain cottages. Types of meals: Banquet Service, Vegetarian Breakfast, Restaurant on Premises, Gourmet Dinner, Catering Service, Snacks/Refreshments, Wine, Early Coffee/Tea, Full Gourmet Breakfast, Breakfast-in-bed (if you wish), Complimentary wine upon check-in and Keurig coffee machines in all cottages. Amenities In Room: Wireless Internet Access, Telephone, Restaurant, Refrigerator, Iron/Ironing Board, Heating, Hair Dryer, Fireplace, Coffeemaker, Bathrobes, Bath Amenities, Air Conditioning, Double Jacuzzis in 8 rooms, working fireplaces in all rooms and wireless Internet access. 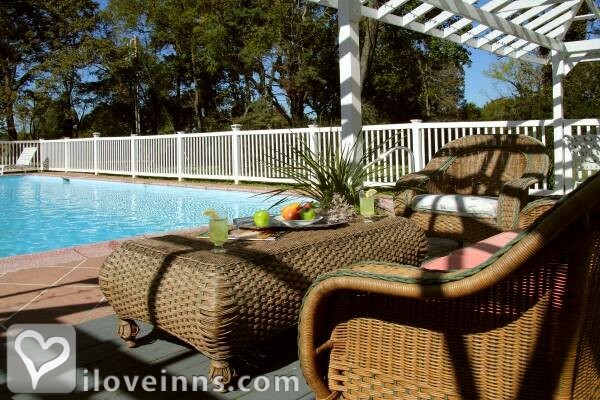 Amenities On Site: Suitable for Events, Pool, Hot Tub/Jetted Tub, Free parking on premise, Fax, Family/Kid Friendly, Copy Machine, we assist in arranging for golf, horseback rides, balloon, carriage rides, for child care or pet boarding, satellite TV, guest computer in common area and 50 acres of quiet countryside to wander. Business Traveler Amenities: Wireless Internet Access. 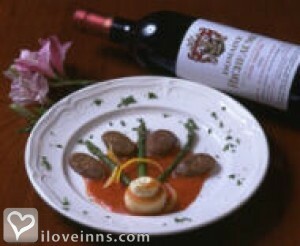 Events Hosted: Weddings, Seminars, Romantic Getaways, Meetings, Honeymoons and Family Reunions. Other Activities: Antiquing, Art Galleries, Bicycling, Canoeing/Kayaking, Fishing, Golf, Hiking, Horseback Riding, Live Theater, Museums, Parks, Shopping (Local Crafts), Skiing Downhill, Sports Events, Major College, Tennis, Wineries, Jefferson's Monticello, Madison's Montpelier, Monroe's Ashlawn, Skyline Drive, antiques and many local wineries. Historic Awards: State Register (Granted), State Historical Site (Granted), National Register (Granted), National Historical Site (Granted) and Local Register (Granted). Historic Memberships: National Trust and Local Historical Society. Thirteen historic rooms & cottages, most with double Jacuzzis, all with working fireplaces, no televisions, 40 serene acres, breakfast-in-bed (if you wish); Peace, serenity, and the sounds of silence.